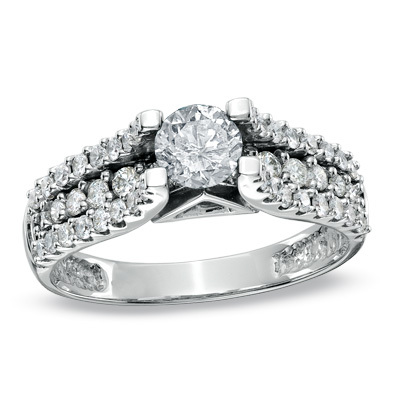 Walking in to a jeweler and seeing all the styles of diamond rings and types of settings can often seem overwhelming. You may have questions like: What is the best setting to show off my diamond? What is the safest type of setting? What do they call a bunch of diamonds set closely together? This guide will give you a good idea of the types of diamond settings available and which setting may be right for your needs. Prong settings are the most common and the most classic settings used today. A prong is a small metal claw that holds the diamond tightly in place. Prongs can be rounded, flat, pointed, v‐shaped or even heart‐shaped depending on the type of diamond being set. Most prong settings will have either three, four or six prongs, although some may have more prongs or double prongs. Fewer prongs means you will be able to see more of the diamond, while having additional prongs is more secure. 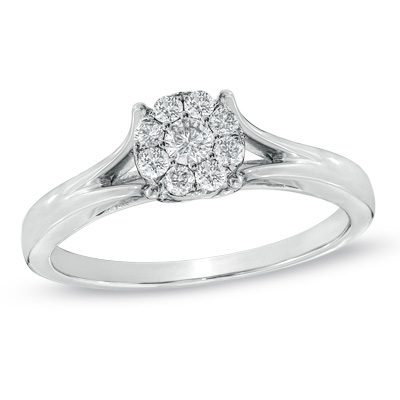 A prong setting allows light to pass through the diamond, adding to its brilliance. There are drawbacks to prong settings. Occasionally prongs can catch or snag clothing or get hit on doors or walls, especially if the prongs are high set. 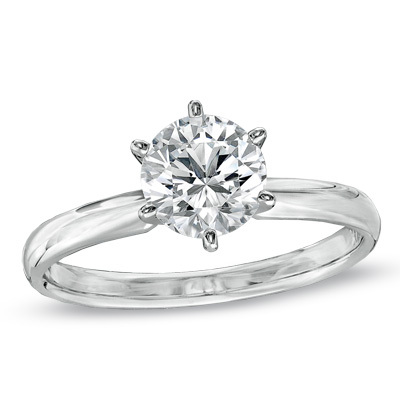 Low-set prongs are more practical for active lifestyles, but may not allow as much light through the diamond. In 1886, Tiffany & Co. developed a specific six‐prong solitaire setting designed to maximize the light return on a diamond. This classic setting is known as the Tiffany settings and is distinguished by its knife‐edged shaft and the design of its prongs. It is possible to obtain a setting similar, however, it will not be an exact Tiffany setting as they have trademarked the prong design. 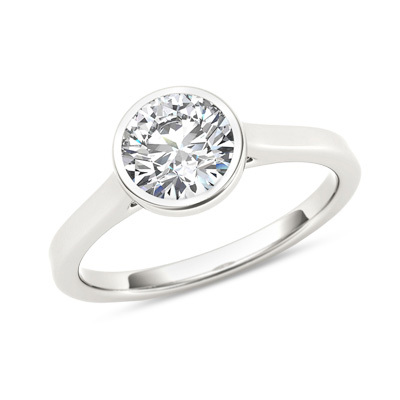 Modern and sophisticated, the bezel setting is the second most popular setting style. Perfect for those with active lifestyles, the diamond or gemstone is held in place with a custom made thin metal rim or frame. Bezel settings can be full or partial. A full bezel setting surrounds the diamond completely. 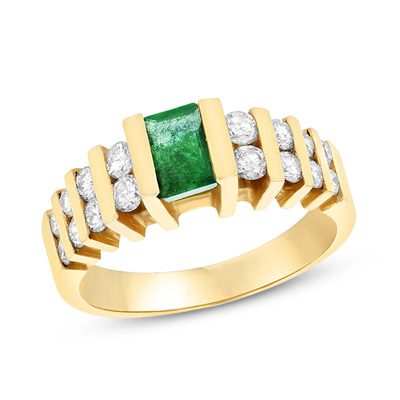 A partial bezel leaves the sides of the diamond or gemstone open. The bezel setting is perfect for those who want a ring that won't snag or catch on clothing and protects the diamond. Tension settings are called such because it is the tension of the metal band that secures the diamond or gemstone in place. The diamond or gemstone appears to "float" suspended between the two sides of the shank. Sleek and modern, the tension setting is a little work of art and science. Jewelers use lasers to calibrate the exact dimensions of the gemstone and then cuts tiny grooves into each side of the shank. 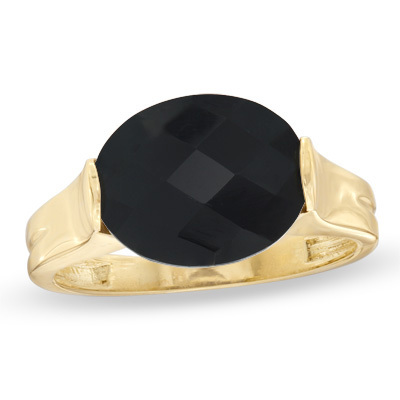 When properly set, the stone is held by the pressure of the metal band that pushes into it on each side. Some tension settings add a small prong or bezel setting along the side or beneath the stone for extra security. Channel settings are exactly as they sound – channels designed to hold diamonds or gemstones securely. Usually used to set smaller stones along a ring's shank, this setting is created by creating small grooves, or channels along the sides of the shank. Diamonds or other gemstones slide into the channel and are arranged closely together. Once the channel is sealed, the stones are securely set – they aren't going anywhere. Since there are no prongs, the channel setting is perfect for a snag free and secure design. A pavé setting really allows a center stone to pop. In a pavé setting, multiple small diamonds are set closely together, creating a carpet‐like effect. Pavé‐set diamonds are usually found set along a ring's shank. A halo setting refers to the placement of diamonds (or gemstones) that are set around a larger diamond (or gemstone), making it appear larger. The halo setting is a great way to enhance the appearance of a smaller diamond and increase the overall sparkle of the design. 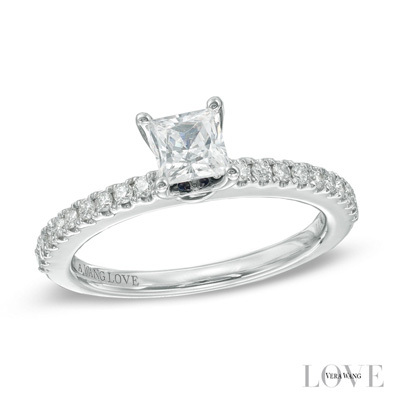 Classic and elegant, a cathedral setting is a traditional look for an engagement ring. 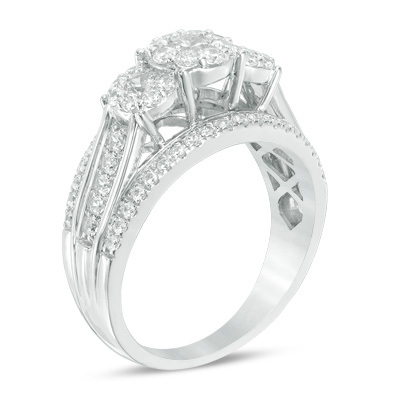 The cathedral setting uses arches of metal to hold the diamond or gemstone high above the shank. 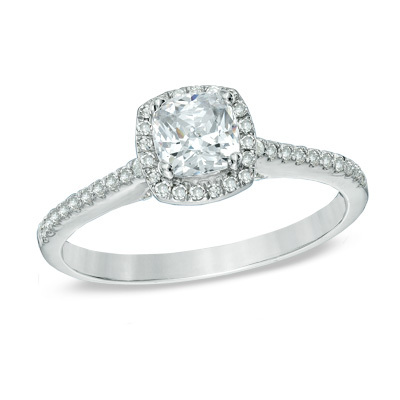 A cathedral setting adds height to a ring and makes the center stone appear larger. This type of setting does have drawbacks, though, as the wearer risks getting it caught or snagged. A bar setting is quite similar to a channel setting, but doesn't close the diamond in on all sides. A bar setting leaves the diamond exposed on two sides and can have a decorative effect as well. A composite setting arranges a group of diamonds together to look like one larger stone. 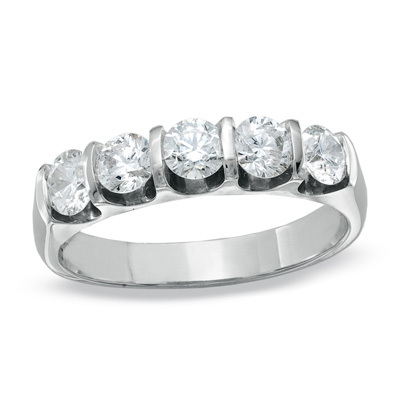 Also called a cluster setting, a composite can include diamonds of all one size or a grouping of multiple sizes. Composite settings are a great way to get a big diamond look at an affordable price. Whatever setting you choose, make sure it is applicable to your lifestyle. And always be sure to take advantage of the inspection program provided by your jeweler to ensure that your setting remains secure.